What makes Prime Minister Narendra Modi the world's No.2 most popular politician in the Twittersphere after US President Donald Trump? Strategic use of sarcasm and humour, suggest results of a study by University of Michigan in the US. 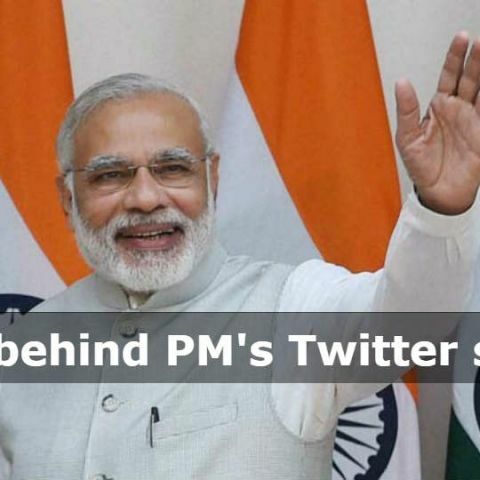 Modi has over 36 million followers on Twitter and the way he uses sarcasm against his opponents became the focus of the study that analysed more than 9,000 tweets by the Indian Prime Minister over a six-year period. "We try and explain what makes him popular," said Joyojeet Pal, Assistant Professor at University of Michigan. Published in the International Journal of Communication, the study examined Modi's Twitter account to show how he used political irony and sarcasm to become broadly appealing. "Modi's irony provides a form of political spectacle and resonated on social media as shown by high retweeting of his sarcastically worded messages," Pal said. The researchers coded the tweets into nine broad themes -- cricket, Rahul Gandhi (opposition leader), entertainment, sarcasm, corruption, development, foreign affairs, Hinduism, and science and technology. They found that sarcastic tweets were closely concentrated around election and campaigning cycles. In many of Modi's tweets during national elections, he referred to the main opposition party as corrupt and Congress Vice President Rahul Gandhi, who also has a huge Twitter following, as "Rahul Baba" or "Shahzada (prince)." By using humour and sarcasm, he was signalling that the party was not in touch with its roots and letting his own followers get the inside joke, the researchers said. Here is an example of a Modi tweet, which garnered 2,545 retweets: "The way Rahul Baba is making statements with a dash of comedy in them, I think the TV show of Kapil Sharma may soon have to shut shop." "The power of Modi's message is in the juxtaposition of his past as a train station tea-seller alongside his present as a selfie-clicking leader of a strong aspirational but fundamentally nationalist state," Pal said. "Sarcasm is as much a message from Modi as it is a message about him," he added. According to the researchers, Modi's use of sarcasm builds on a longer tradition of slogan humour during political rallies. "There are plenty of attacks, rhetoric, cleverly worded jibes and jokes," Pal said.